On Wednesday, September 6, 2017, Betty Cuningham Gallery will open an exhibition of the sculpture and drawings of Christopher Wilmarth. To celebrate this exhibition, the Gallery will host an opening reception from 6-8pm. 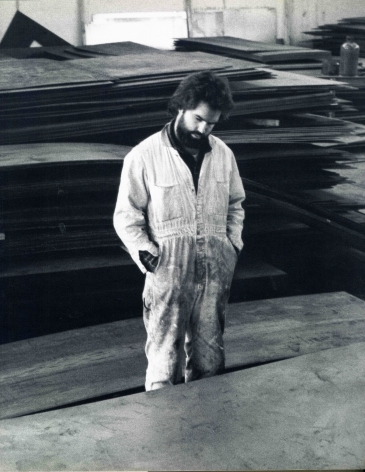 Christopher Wilmarth produced approximately 150 sculptures in his short lifetime. The current exhibition includes four sculptures and eleven works on paper. Featured, are three maquettes each of which were created for seminal works: the maquette for Days on Blue, 1974 – the larger version resides in the collection of SFMOMA and is the largest sculpture Wilmarth ever completed; maquette for Gift of the Bridge, 1975 – the larger version resides in the collection of the Wadsworth Atheneum; and Maquette for Evers, 1974/1978 – the larger version resides in a private collection. Sonoma Corners, 1971, the title of which refers to Wilmarth’s birthplace in California, is the single wall piece featured in the exhibition. Of the eleven works on paper in the exhibition, eight were completed after sculptures and focus on the place where light resides in the sculptures. The other three were completed in the last year of his life and work as portraits, concentrating on the oval, or ‘head’, image. In 1966, Wilmarth graduated from Cooper Union. 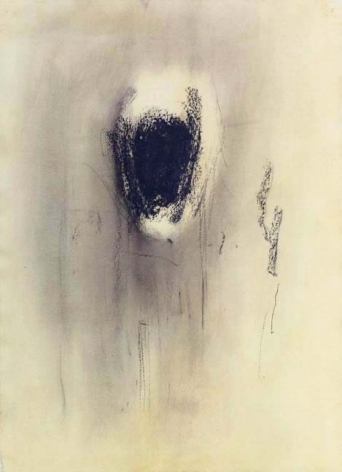 He began exhibiting in New York at the Graham Gallery in 1968 and then at Paula Cooper Gallery in 1971 and 1972. The Museum of Modern Art, the Whitney Museum of American Art, the Philadelphia Museum and the Walker Art Center had acquired his work before he reached the age of 30. By 1978, Wilmarth, disillusioned with the art market, departed from all dealer representation and established The Studio for the First Amendment, where he realized three shows: first in 1978 of his current work, in 1980 of the Gnomon’s Parade sculptures, and then in 1982 of the Breath series. In 1982, Wilmarth joined Hirschl & Adler Modern, where he realized two major shows: Layers in 1984 and Delancey Backs in 1986. On November 19, 1987, Wilmarth committed suicide at the age of forty-four. Fifteen months later, in 1989, The Museum of Modern Art opened a retrospective of Wilmarth’s sculpture. His archive was donated to the Fogg Art Museum of Harvard University by his widow, Susan Wilmarth-Rabineau in 2001. In turn, the Fogg Art Museum mounted the 2003 exhibition, Christopher Wilmarth: Drawings into Sculpture. In 2004, Princeton University Press published an award-winning monograph, Christopher Wilmarth: Light and Gravity, written by Steven Henry Madoff with essays by Edward Saywell and Nancy Milford. And, in 2017 Harvard mounted a second exhibition, Christopher Wilmarth: Before and After Mallarme, which highlighted many of the artist’s studio files and other archival materials that the Harvard Museums have acquired over the last 16 years. In conjunction with this show, Harvard launched a new digital Special Collection, making the archival materials more widely accessible. The exhibition will remain on view through October 29th. Light was always an impetus for Christopher Wilmarth’s work. In a 1974 statement, he wrote, “I associated the significant moments of my life with the character of light at that time.” He was known for his adroit use of glass and steel to evoke human essences through the sensuous qualities of light. 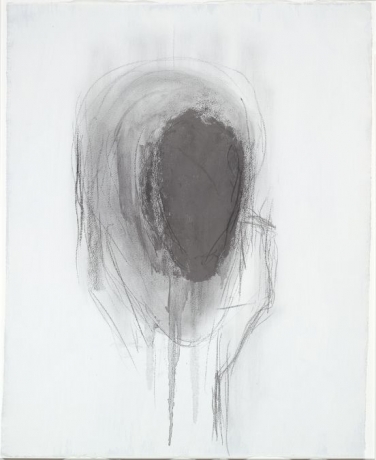 The concise selection of modestly sized works exhibited at Betty Cuningham Gallery (Christopher Wilmarth, September 6 – October 29) display the different states of Wilmarth’s mind, from the start of his short, intense career, to the most melancholic moments before his 1987 suicide.